The iconic Pittsburgh skyline in the early evening. hd00:13A dramatic dusk to night time lapse of the Pittsburgh skyline as seen from atop Mount Washington. 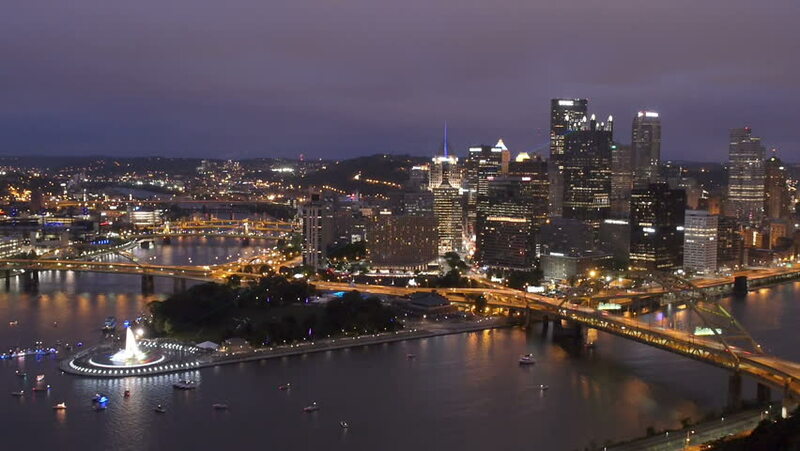 4k00:13A dramatic dusk to night time lapse of the Pittsburgh skyline as seen from atop Mount Washington. 4k00:10A 4K time lapse of The Point in downtown Pittsburgh, Pennsylvania.